If you had 48 free hours, what are the odds you’d spend them at a leadership retreat? Prior to my own experience I would have said “not likely”. After all, I’m a second-year graduate student with coursework, experiments, and TA responsibilities clamoring for my time. 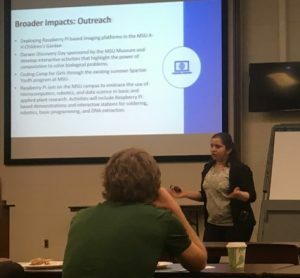 I’m also a member of the NIH-funded Plant Biotechnology for Health and Sustainability (PBHS) Program at Michigan State University, a training program focused on improving career opportunities for predoctoral candidates. One of the goals of the training program is to help us learn to be leaders. 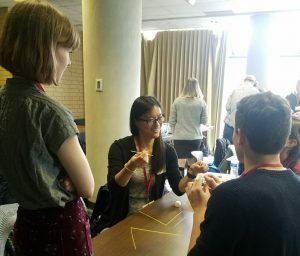 Therefore, in lieu of an annual research symposium, the program’s senior fellows planned a retreat centered on aspects of leadership, mentoring relationships, and career preparation. Originally, I was less than enthused; how does one “learn” to be a leader, especially in one weekend? To my surprise, invited speakers Drs. Jane Fife (Ohio State University; 3BarBiologics), Katyoon (Katie) Dehesh (University of California, Riverside), Emily Wrenbeck (Ginkgo Bioworks), Maria Elena Zavala (California State University, Northridge; National Research Mentoring Network), Mary Williams (Plantae, The Plant Cell), Kevin Folta (University of Florida, Talking Biotech Podcast), and Steven Mayfield (University of California, San Diego; Triton Algae Innovations) would prove me wrong. With the goal of helping my fellow graduate student, below are noteworthy topics and repeated pieces of advice given by our speakers. Let’s be honest, we’re all here to get a job. Approximately 70% or more of jobs are found through personal contacts, including many of the jobs held by our speakers. Making fruitful connections can be difficult, especially for those of us plagued with social anxiety or adept in the art of awkwardness. Conferences can be a hotbed for meeting helpful individuals, and LinkedIn and Twitter are great ways to stay in contact and establish long-lasting relationships. If your career path is aimed at industry, more relevant connections can be made by attending conferences with an applied focus (for example, a synthetic biology-focused conference or agricultural startup-focused conference). Landing that first position in industry is notoriously difficult, and this transition can be greatly helped by connections. When it comes time to apply, a solid cover letter tailored for that position is essential and can compensate for a missing connection with that employer. Informational interviews are great for gaining insight into a specific role or employer and may help with name recognition should you apply later. Throughout the weekend we were urged to network, network, network, starting immediately. Proper mentorship takes time and care; it’s a skill than can (and should) be improved with practice and effort. As a graduate student, the importance of strong mentorship cannot be overstated. The ability to improve yourself as a mentee and provide useful feedback for mentors is vital for a strong and effective relationship. Dr. Maria Elena Zavala, who has been recognized for excellence in mentorship with a NSF Presidential Award, is part of a NIH-led effort to increase the efficacy of mentees and provide access to mentorship opportunities and professional development. The program, called the National Research Mentoring Network (NRMN), is a resource available to trainees from numerous research areas and aims to promote diversity and inclusivity within mentoring relationships. Women and underrepresented persons tend to be under-mentored, and the NRMN hopes to address this while making their resources broadly available. As graduate students, not enough attention is given to our half of the mentoring relationship, and becoming a better mentee is a skill that is in everyone’s best interest. There is a wonderful Plantae Taproot podcast featuring Beronda Montgomery discussing mentor/mentee dynamics. 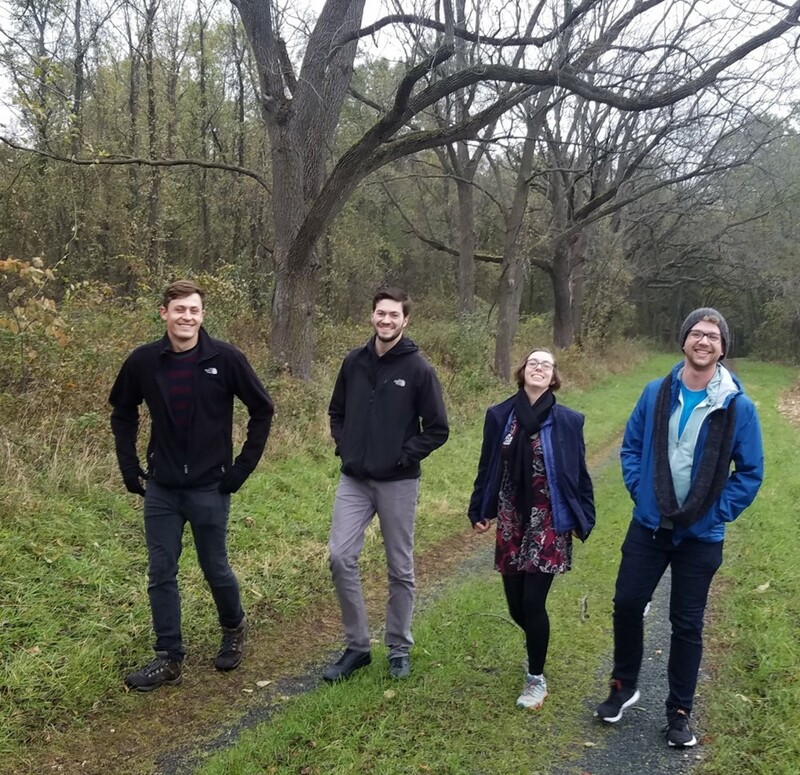 Science communication has recently become a bit of a catchphrase, as the research community and federal funding agencies have refocused on broadly disseminating research findings. For graduate students, generating content related to their field can be a welcome addition to resume/CV building. A stellar example of a science communicator is Dr. Kevin Folta. Dr. Folta is a prominent name in the field, and he believes that increased communication has the potential to improve public trust in science while expanding funding opportunities. Consumers are seeking information about GMOs and food safety, creating the space for a dialogue and the chance to provide information. As scientists are predominantly funded by public dollars, we carry a responsibility to interact and provide information to the public. This can be accomplished in two manners: content generation and content amplification. There are several spaces for content generation including Medium, Science 2.0, Plantae, ASPB, personal blogs, and numerous others. These pages provide a way to publish content and build a portfolio. For those who don’t care for writing, amplification of content is also important for communication. Twitter is an excellent way to spread the work of others and increase visibility of content you find interesting or significant. Getting started can be difficult and intimidating (both strongly felt while writing this) but the results are worthwhile and will pay dividends in the long run. Hopefully I’ve piqued your interest by this point or you’ve considered emulating our efforts. This was the first retreat organized by the PBHS program, and a rather successful one at that. An overwhelming majority of students said the retreat exceeded their expectations and found it useful. Our speakers were selected not only on their expertise but also on their public speaking abilities. Most speakers were given the opportunity to give science and non-science talks, with outlined expectations for the topics to be covered. Providing speakers with a detailed outline allowed them to meet our expectations for their talks and avoid redundancy between speakers. Non-science talks included topics like mentoring up, science communication, and career paths/trajectories. Speakers were matched to areas where they have demonstrated prowess, creating more impactful and insightful presentations. Faculty from MSU did not attend the retreat, something I cannot recommend enough for those planning their own retreats. In the absence of our home faculty, fellows had plenty of opportunities to interact with each speaker on a personal level during meals, in between talks, and at the end of the day. 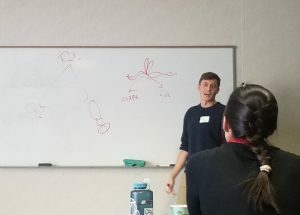 By the end of the weekend I made personal connections with each speaker and plans to interact in the future, including plans to have Mary post this recap on the Plantae blog. When planning future graduate student training events, I strongly suggest swapping your annual symposium for a leadership retreat. Levi is a second year graduate student at Michigan State University in the Barry lab. He is currently studying the biosynthesis of tropane alkaloids in the Solanaceae and is interested in specialized metabolism. He’s starting to connect with others through Twitter @LeviLSBauer.